Choose from several great backgrounds at the PhotoPass Studio in Disney Springs / Walt Disney World Resort - Florida. There are view stations available so you can preview your photos and you can purchase prints of the photos right there, if desired. Your photos taken at the PhotoPass Studio are included in the Memory Maker and are linked to your MyDisneyExperience account. 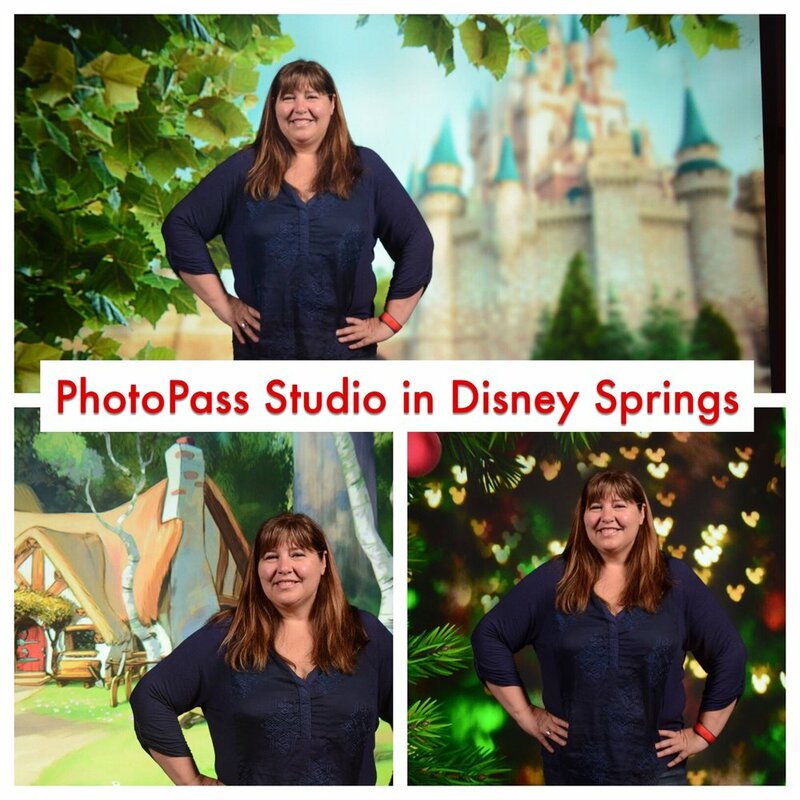 To have photos taken, you go to the PhotoPass Studio in Disney Springs, and tell them you have the Memory Maker and you want the studio pictures taken that go with it. You then get to choose your background (I'm not sure if you just get to choose 1 or several....I told him I am a Travel Agent and was interested in seeing how it worked and showing clients so he let me choose a couple of them). They take the pictures and they show up in your Memory Maker! The PhotoPass Studio is located between The World of Disney Store and Ghirardelli's Chocolate in Disney Springs. Click here for additional information. About the Author: Monica is the most experienced agent at Build A Better Mouse Trip, a travel agency specializing in Disney World and Orlando theme park vacations. Click here to read more about Monica. Monica's Disney World trip report, including her impressions of Disney's Port Orleans French Quarter and Grand Floridian resorts and her adventures in the new Star Wars attractions at Disney's Hollywood Studios.